De Beauvoir Farm lies to the west of Church Road, Ramsden Heath, just north of where the London Liverpool Street railway line crosses Church Road between Ramsden Heath and Ramsden Bellhouse. DeBeauvoir Farm was previously both an equine centre and the head office location of an engineering business. As part of the pre-application engagement that had been undertaken with the Local Planning Authority, it was acknowledged that the permanent structures relating to the livery facilities and engineering business at DeBeauvoir Farm did constitute previously developed land and that these areas could be redeveloped as one of the exceptions within paragraph 89 of the NPPF. 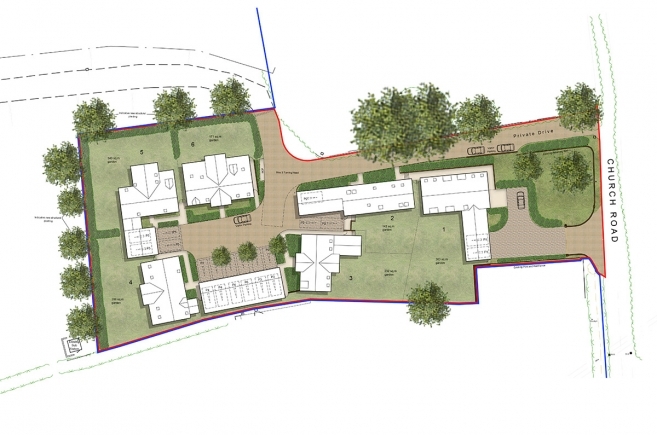 This approved application was granted for six new dwelling houses and comprises of 4 and 5 bedroom houses. The layout design presents one building to the street frontage and this has been maintained, with the use of a contemporary dwelling that has a single storey wing that is parallel with Church Road and a 1.5 storey element that is perpendicular to the road and stretches back into the site as a linear form, replicating the current layout of the structures on this part of the site. 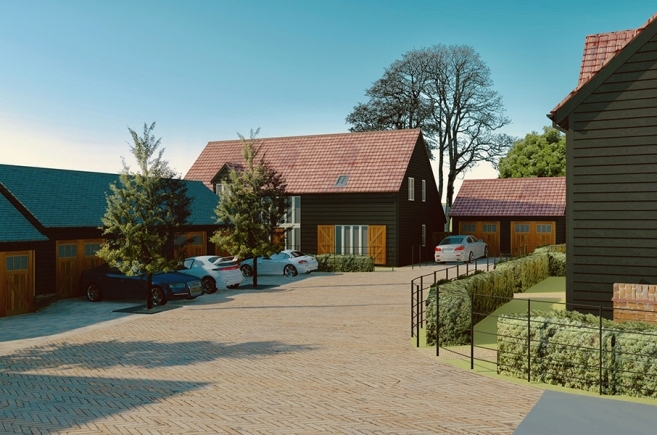 The remaining five proposed dwellings are designed as a compact cluster of buildings around a courtyard nucleus, replicating a traditional pattern of rural development and creating a direct reference to the previous use of the site. The relationship of proposed buildings has been carefully considered to achieve a calm sense of place within a rural context, whilst also being mindful of – and seeking to preserve – the privacy of adjacent residential property to the south. All of the proposed buildings within the site are 1 and 1.5 storeys to define a human, rural scale that responds directly to the setting. Roof and building orientation have been carefully considered to create an articulated roof-scape that reflects traditional forms and replaces the existing with forms that are used to define a true sense of place. 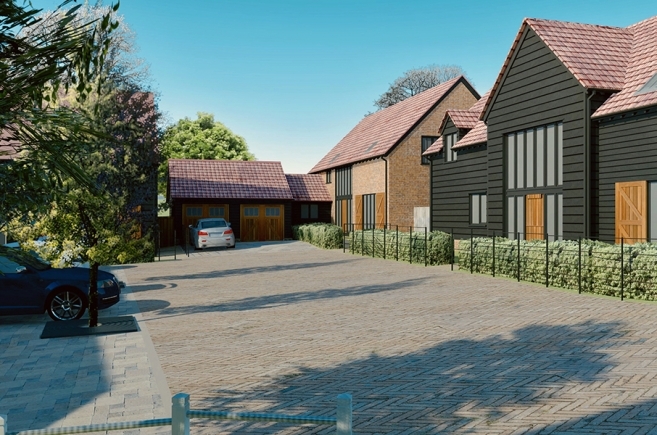 The proposed material palette is drawn from a traditional Essex agricultural vernacular of brick, black weatherboard, slate and pantiles. The design has been informed by local and national planning policy relating to development within the Metropolitan Green Belt, as well as guidance found in Chelmsford’s ‘Making Places’ Supplementary Planning Document; in the Essex Design Guide and in Essex County Council and Chelmsford City Council guidance on Parking Standards.